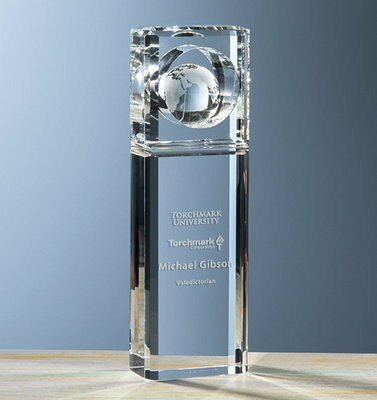 Our dramatic one-piece Tower Globe Award elevates achievement to the highest levels. Each piece is crafted in optical crystal and features an attached crystal globe nested in a lovely beveled portal. Available in three sizes, each piece comes packaged in an attractive presentation box.